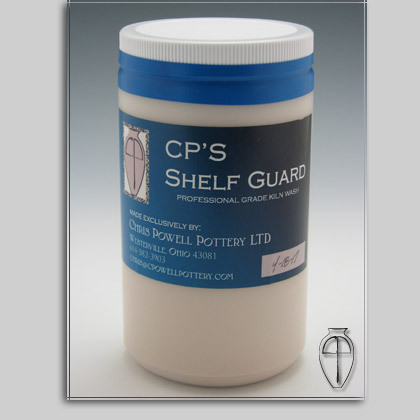 This product will help protect the top row of bricks on your electric kiln. The higher you fire it, the harder it gets. It has been used on gas kilns as a mortar to reset arch brick with great success and durability. One quart is enough to coat the top row of 3 – 28″ electric kilns at the cost of two new bricks. I’ve coated the interior of a test kiln with my Kiln Guard to strengthen the element grooves. It has also drastically slowed the quick cooling that is expected from test kilns. I send it premixed so it’s ready to go upon receipt. This adds to shipping a bit but it’s mixed to the proper consistency for use.